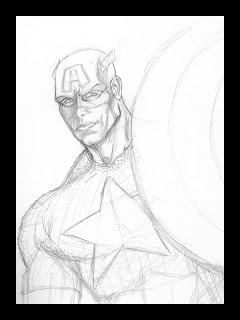 Okay, so here's a little teaser of my in progress Cap piece. I'll be out of town for a week, so we won't see any updates at least until Jan. 15 at the earliest. ok, it's the 15th.... GET TO WORK!